through the books they read. Singaporean artist, Elysa Wendi, will be in residence at Campbelltown Arts Centre throughout November 2018 and will be debuting her international, nomadic performance project, (10 x 10) x 10 in Campbelltown. Commissioned and presented by C-A-C, Wendi will connect with 10 of Australia’s most significant choreographers developing a fascinating durational reading performance in a public space. The 10 choreographers include: Victoria Hunt, Martin del Amo, Tara Jade, Lizzie Thomson, Sue Healey, Tess de Quincey, Rhiannon Newton, Julie-Anne Long, Lucy Guerin and Vicki Van Hout. 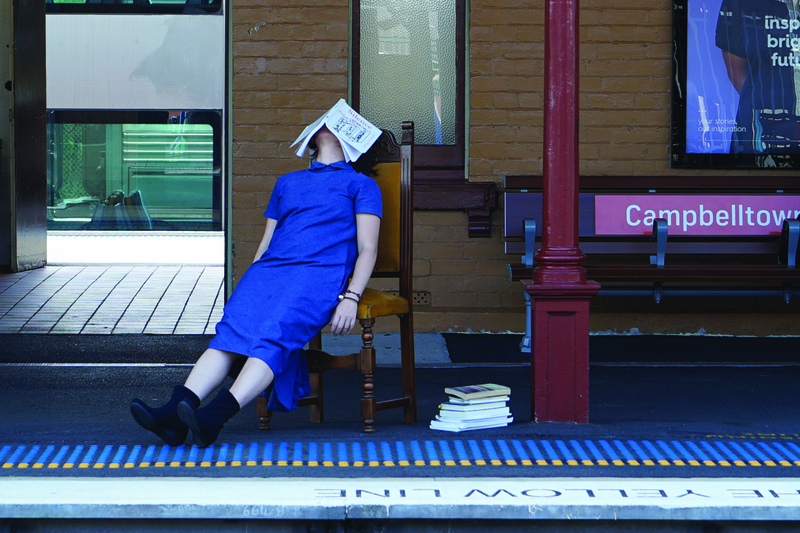 The performance involves Wendi borrowing 10 books each from 10 choreographers and reading these books for 10 hours per day for 10 days at Campbelltown train station. Wendi will embark on a journey to investigate the literary influences and formation of each choreographer through the books she will read. The project will happen in 10 countries, Campbelltown is the premiere performance. (10 x 10) x 10 explores the notion of participation by shifting the traditional lens of observation and proposing a different setting. Through reading material, the audience will encounter an expanded view of dance through literature, as a performative interpretation within a public space that connects alternative possibilities of narrative and embodiment. Elysa Wendi will be performing at Campbelltown Station daily from 10am – 8pm Thursday 22 November – Saturday 1 December 2018.